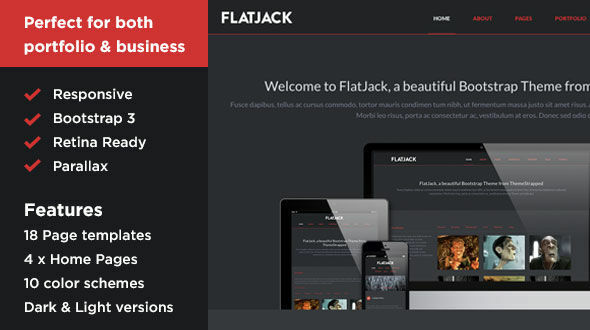 Flatjack is a retina ready, parallax, responsive bootstrap 3 theme which has been designed and built with options for both creative portfolios and corporate websites. We’ve included 18 page templates and 3 example pages so you’ll have everything you need to get your bootstrap site finished in no time. There are 2 base colour themes, light and dark, with 5 colour options built in for each, giving you 10 colour options in total out of the box. 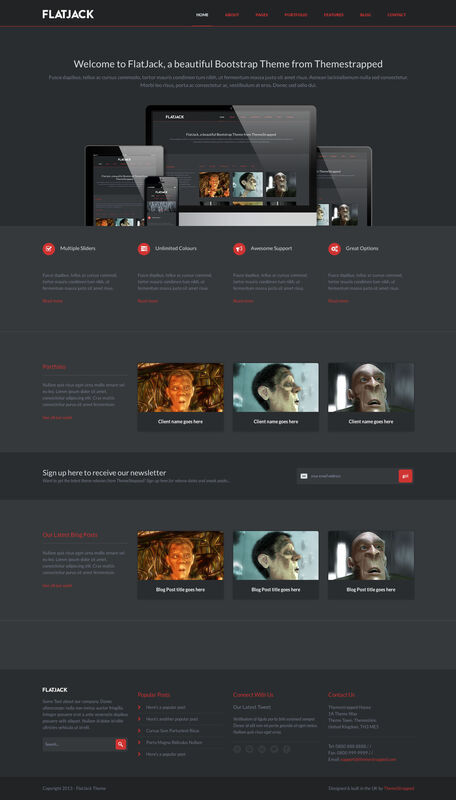 Bootstrap 3.0 - The best responsive HTML5 framework in the world. Period. Text Rotator - Super Simple Text Rotator by Pete R.